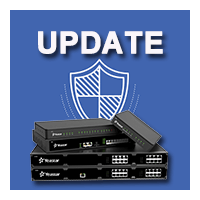 We’re pleased to release the new firmware version 30.10.0.9 of Yeastar S-Series VoIP PBX. 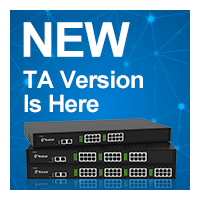 Refreshed with enhanced security, a bundle of bug fixes and great optimization, the new version also boasts a Configuration Wizard that assists users to quickly set up the PBX, all of which allows for a more stable and secure phone system that ensures better user experience. 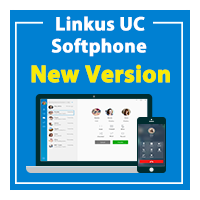 This version already supports the new Linkus UC Softphone. Download now to have a try. You can also upgrade your Linkus App to the latest version and enjoy the effortless Linkus configuration with Linkus Cloud Service so as to have the best Linkus experience. Added Configuration Wizard: The Configuration Wizard helps an administrator to quickly set up a phone system for his/her company. Added support for configuring multiple Extension Format. Added support for displaying Branch name as Caller ID name in Headquarter. Optimized the incoming caller ID and CDR. Fixed the issue that inviting external users on Conference Panel could not work if Multisite Interconnect was enabled. Fixed the issue that the devices on Remote Management Platform would be disconnected because PBX didn’t resolve domains regularly. The IP address that exceeds the max failed login attempts would be listed on the PBX Block IP Address page. Added Inbound Transfer interface. Through this interface, inbound calls can be transferred to different destinations, like extension, IVR, queue, etc. Added Outbound Transfer interface. Through this interface, outbound calls can be transferred to different destinations, like extension, IVR, queue, etc. Empty the extension’s voicemail box. Delete the extension’s outbound route permissions. Reset the extension’s Caller ID name setting. After an IVR prompt is played, PBX will send an API report to the 3rd-party application server. Optimized API reports: All the API reports include SN parameters. Optimized “Call Failure” report: A specific reason of call failure will be included in the report. Fixed the issue that “Call an External Number via IVR” would not generate CDR. 3 new phone models are added in Auto Provisioning, and they are Yealink T40G, VTech ET635, and VET605.